Having just experienced West Sussex County Council’s (WSCC) indifference to towards walking and cycling on the New Monks Farm development, we shouldn’t really be surprised to see them at it again. This time WSCC is proposing to dual the A2300 from the A23 into Burgess Hill to support new development. They appear to only consider road building as a serious option, while public transport, walking and cycling are seen as add-ons and consequently don’t ever deliver much. It’s the classic ‘predict and provide’ approach that just fuels traffic growth, congestion and a low quality environment. What is most shocking, though, is how sub-standard, dangerous and unattractive the proposals are for people who want to walk and cycle. 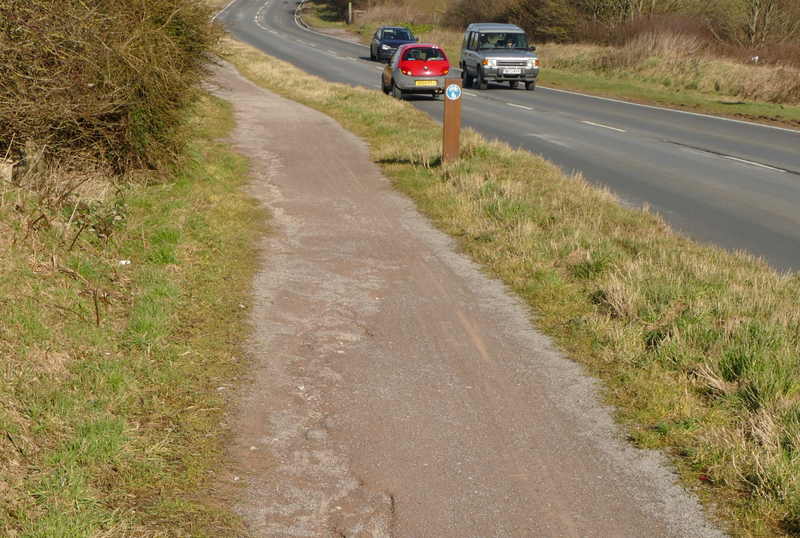 The shared path alongside the road will do little to alleviate traffic levels in and around Burgess Hill and we suspect that some cyclists will still use the road, even a 70mph road, because it is so bad. Just producing maps and drawing lines on them showing routes for people to walk and cycle is meaningless unless the infrastructure provided is safe, easy and attractive to use. This is none of these. We are urging people to take a few minutes to object to these poor quality and dangerous facilities. The survey is quite short and you don’t have to fill in all your personal details except for a postcode. Deadline is midnight, Sunday 28 October. The proposed new roundabout at the eastern end (not part of this scheme but to be provided for by developers) is not fit for purpose and needs redesigning to properly accommodate cycling. We’re disappointed with Adur District Council’s decision to approve the New Monks Farm development, which in turn will see the closure of the Sussex Pad crossing. But our campaign is far from over. We still have a chance to save the Sussex Pad – or getting a better replacement – by asking the Government to review the council’s decision. Can you spare 5 minutes to send a letter and help keep the campaign going? Please share with family, friends and colleagues and encourage them to act to. The Sussex Pad is the best, safe road crossing of the A27 for cyclists for miles around. 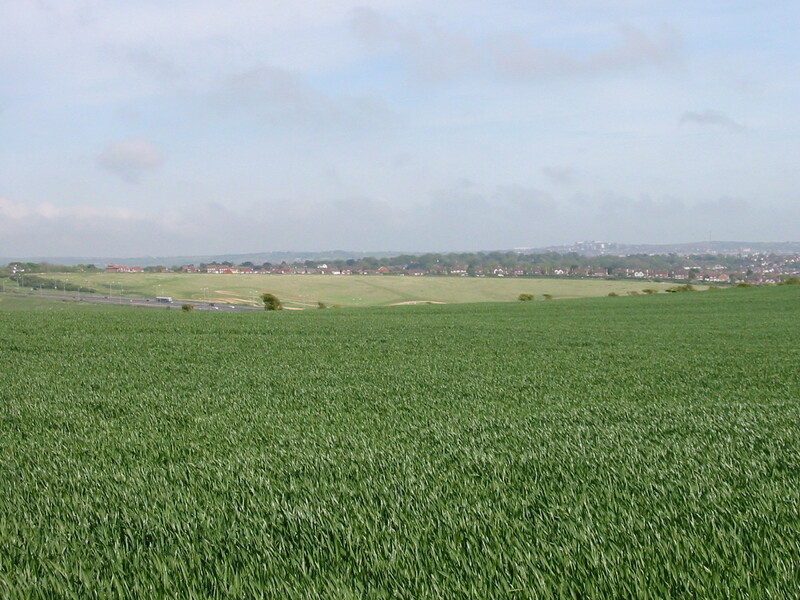 But now it’s under threat from the New Monks Farm development by the airport between Lancing and Shoreham. 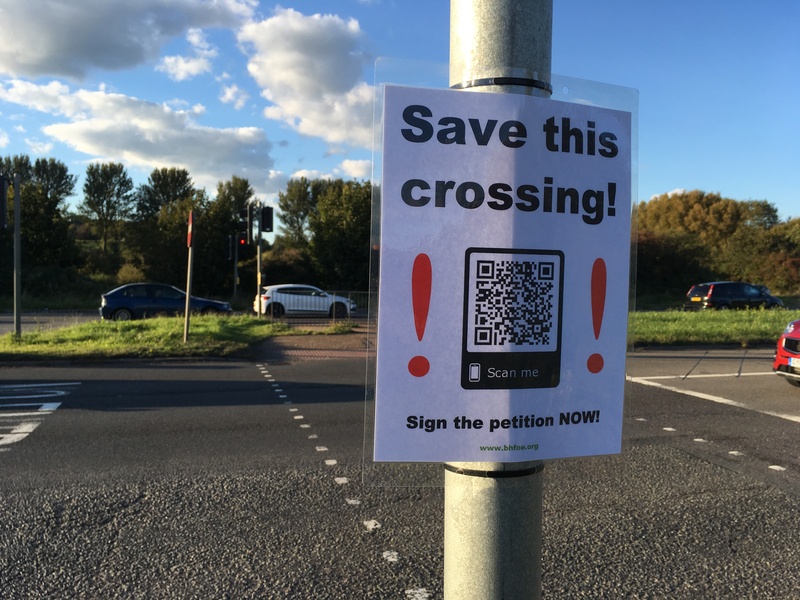 The application is being decided by Adur District Council on 3 October, but there is no sign that it is taking the loss of this crossing and indeed other sustainable transport issues seriously. West Sussex County Council and Highways England appear equally culpable in appearing to go along with these damaging proposals. Local MPs from Worthing, Shoreham and Brighton & Hove have now joined the campaign to save the Sussex Pad crossing. We are very grateful to Tim Loughton, Peter Kyle, Caroline Lucas and Lloyd Russell-Moyle who have all written or spoken to Jesse Norman MP, a Transport Minister about the loss of this important crossing and urged him to intervene. Please sign our petition to save the Sussex Pad. We have also written a second substantial objection that has been supported by many other local organisations including: Bricycles, Brighton and Hove Cycling UK, Brighton & Hove Friends of the Earth, Brighton Excelsior Cycling Club, Brighton Mitre Cycling Club, CTC local representatives, Horsham District Cycle Forum, Hovelo, Shoreham by Cycle, Sustrans Worthing Co-ordinator, VC Jubilee, West Sussex Cycle Forum, Worthing Cycle Forum. In addition, Sussex Ramblers and the British Horse Society have also expressed concern at the proposals. In this objection we dispel many of the myths and misleading statements that were made about the crossing and its proposed replacements. We also strongly object to the fact that our previous objection was not properly reported to the planning committee and many of the issues we raised were not addressed by the committee reports or at the committee meeting. 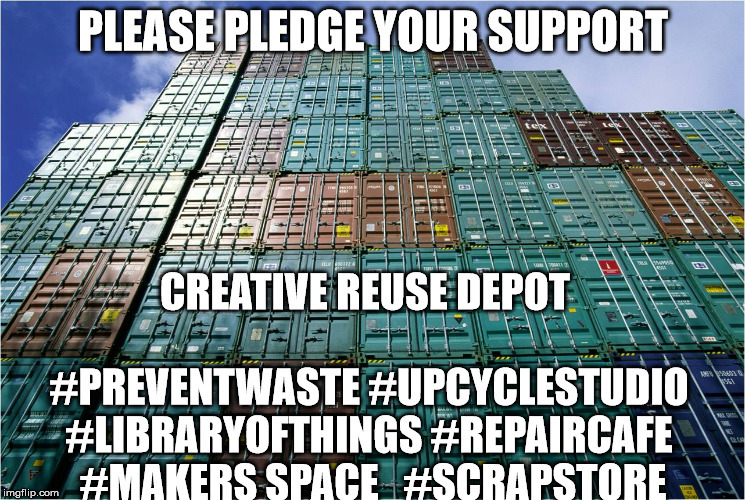 Cat Fletcher, waste guru, is running a crowdfunding campaign to buy 8 shipping containers to form a creative reuse hub for Brighton and Hove. She is founder and Head of Media for Freegle – UK’s biggest online free reuse community with over 2 million members and runs the Brighton Freegle group which facilitates reuse between 22,000 locals. 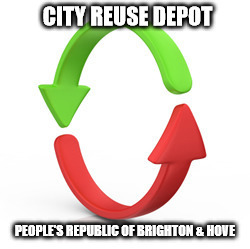 She’s worked on the multi-award winning Brighton Waste House since 2012 sourcing ‘waste’ materials for its construction – it is now Europe’s only permanent public building built with waste. She’s also worked for the city council redistributing over 100 tonnes of their unwanted goods back into the community. This saved the council money and carbon, while helping residents, charities, artists and businesses in the process. For the past few years she has benefited from free space at Circus Street old Market via the City Council and Cathedral Developments – allowing her to gather, assess, store and redistribute intercepted ‘waste’ – hundreds of tonnes of reusable materials and goods. However, the Circus Street site is being demolished this summer for redevelopment. So, she’s crowd funding to buy shipping containers to establish a permanent (but potentially mobile!) creative reuse depot. Having operated pop-up reuse depots in many unused spaces around the city for the past 3 years, she has stacks of evidence about the positive impact this can have. When goods cannot be reused for their intended purposes she’s been able to connect with hundreds of projects, artists and enterprises who can upcycle, reprocess, repair and refurbish all this so called ‘waste’ and keep it in circulation and out of the waste stream. Getting a new secure depot would not only allow her good work to continue but it would help accelerate and improve this waste intervention service. Hence the crowdfunder. To find out more about the project, the rewards on offer see this very short film. With just a week to go (the crowdfunder ends on 30th June) the project is already 75% funded, but it still needs that last push to help make it become a reality. Can you help make this happen? Pledges start from just £1 and you will be rewarded with cake. So what’s holding you back? Please back this great project. 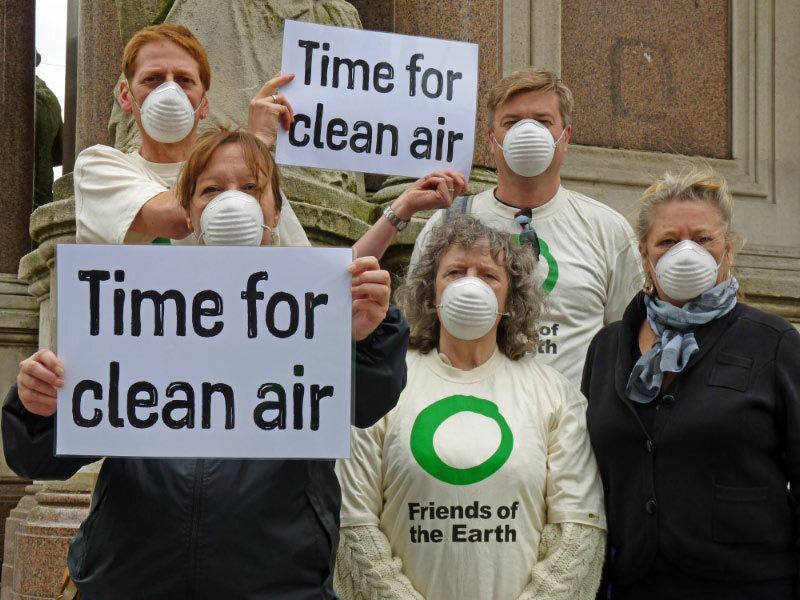 The other week the consultation ended on the City Council’s draft Air Quality Action Plan. This will be an important document what with the recent Supreme Court Judgment (on 29 April) which has ordered the Government to draw up a new national Action Plan to bring air pollution down to within legal limits ‘as soon as possible’. What exactly that means is debatable, but recent rulings in the European Court suggest that difficulty and cost are not reasons for delay. Yet why would anyone want to delay? The problem is deadly serious with over 29,000 premature deaths every year attributable to air pollution, ten times the number killed in road crashes, and the second deadliest killer in the UK after smoking. Even this is likely to be a serious underestimate as it only looks at the impact from particulates (tiny particles of black soot). It does not include any estimate of the impact of nitrogen oxides and other pollutants. At a local level, that equates to 115 people a year, more than die through alcohol poisoning or drug overdoses where it seems more public funding and effort are spent tackling these issues. Certainly there is greater awareness. In contrast, little is spent tackling the root causes of air pollution, which in Brighton & Hove is predominantly traffic, with no focus on traffic reduction. We have responded to the consultation and welcomed much of the analysis in the report and its commentary. However, where we have struggled is with some of the proposed actions. More car parking and road building should be the actions of last resort, yet these are fairly high up on the list. They will only bring short term relief and most likely make the situation worse within a year or two. The report is big on evidencing the problem and identifying where interventions can be targeted to have most impact. Yet the same rigour is not applied to potential solutions. A park and ride site on greenfield land near Preston Barracks is likely to create more pollution in the Lewes Road corridor. In addition, if we are to build on a green field it should be for housing and in this location could be virtually car-free. Recently, we also responded to a further consultation on the City Plan modifications (the document which creates the blueprint for development in the city over the next 10-15 years). In our submissions, we requested the Inspector revisited the wording around air pollution to ensure it conforms with the recent Court rulings. We want there to be a requirement that developments do not delay air pollution being brought down to safe levels as soon as possible. What we want to see is national Government shift funding away from road building into low emission buses, to tackle this issue in many of our cities. At a stroke, that would make a vast improvement and could be done within a few years. Secondly, we want the Council to focus much more on getting more people walking, cycling and using public transport. One reason why the Valley Gardens scheme is so important, but also why action needs to extend further than this. As part of this process we need to see joined up thinking with planning across Government and action taken to promote more car-free development and have development focussed around alternatives to the car. Unfortunately, the Government seems hell bent on removing local autonomy around planning, apart from on wind turbines, despite its so-called localism agenda, which has been anything but. Alongside all of this, and this is certainly something local government can do, we need some serious awareness raising with the public so that they understand what the issues are and why we need to tackle this invisible killer. Only then, can we afford to breathe easy. After such a long battle to get the South Downs designated a National Park, in which Brighton & Hove Friends of the Earth played a prominent part, it seems almost surreal to realise that the designation is now 5 years old. The campaign could be said to have started in the 1920s when people started agitating for National Parks to be created in the UK. However, it wasn’t until after the 2nd World War that the legislation was passed in 1949, by the then Labour Government, to allow National Parks to be established. The critical moment for the South Downs was in 1947 when the National Parks Committee chaired by Sir Arthur Hobhouse recommended that the South Downs be one of 12 landscapes that should be designated as a National Park. By the 1990s it was the only one that hadn’t. That was due to lobbying by various vested interests in 1956, when the South Downs was turned down as a National Park on the spurious grounds that due to intensive farming it no longer offered the required recreational opportunities. Yet this was clearly a trumped up excuse. The area is simply littered with rights of way and while it might not have as much open access land as other National Parks, it is one of the most visited of all the UK’s National Parks. People in effect had voted with their feet and its landscape beauty (which was not deemed to have been diminished by farming) was later recognised when it was designated as two Areas of Outstanding Natural Beauty (AONB) in the 1960s. In the 1980s, as development threats started to intensify and modern agricultural practices were still causing harm to the area, it was people like Paul Millmore and Phil Belden who started pushing the case for a National Park. However, it wasn’t until 1990 that the South Downs Campaign was formed at Sussex Wildlife Trust headquarters under the chairmanship of Robin Crane, who led the campaign right up to its dissolution in 2010. Along the way there were many ups and downs and Brighton played a big part in rejuvenating the campaign in 1995 when the Council (then Labour) tried to sell off the downland estate and faced a huge backlash with a 12,000 signature petition opposing the sale. This was no mean feat before the time of social media and electronic petitions. The Council backed down and then to its credit got behind the National Park campaign, with full cross party support (Conservative, Green and Labour). The 1997 General Election was also a key moment, when Farmer Harmer decided to plough up a Site of Special Scientific Interest (SSSI) at Offham Down. He was well within his rights, but the situation was not helped by a weak and underfunded Government Agency, unable to properly protect these valuable sites. 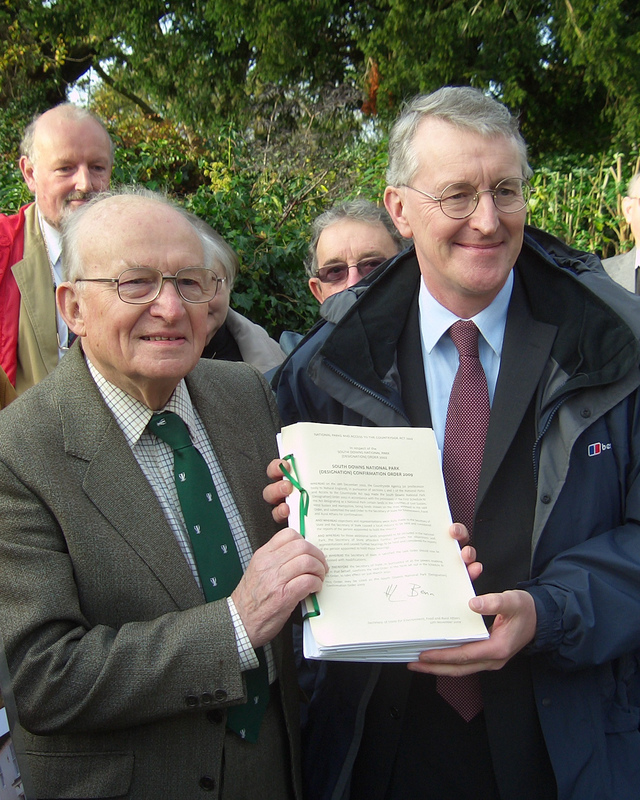 However, it made great media and resulted in John Gummer (then Secretary of State for the Environment) having to order a Stop Notice to protect the site during the General Election campaign (only the 4th that he had ever issued). After the election, Michael Meacher became the new Secretary of State and was instrumental in creating the right framework for the National Park to be created. We received strong support from the city’s MPs, particularly Dave Lepper and Des Turner, and a wealth of other people too numerous to mention. And despite being almost tripped up by the poor decisions taken on the New Forest National Park, we finally achieved the South Downs National Park in 2009, with the order confirming the designation coming in to effect on 31 March 2010. It covered a much larger area than could have been anticipated and that was down to the keen interest and enthusiasm shown by the then Secretary of State, Hilary Benn and his minister Huw Irranca-Davies. They in effect finished the job that the Labour Government had first started some 60 years earlier. Today, Margaret Paren, a former member of the South Downs Campaign, has chaired the National Park Authority since its establishment and overseen its development and progress. Already, it is taking a more strategic and consistent approach to planning. It has supported nearly 200 local community projects, secured funding for research, restoration work and investment in new cycle routes throughout the National Park. It has produced a Management Plan and this year embarks on its own Local Plan. There is much to do and the threats to National Parks are increasing as Government slashes the already very small National Parks’ funding and presses ahead with dismantling the planning system and spending money on new roads. On a day of celebration, it was appropriate to see the Brighton & Hove bus carrying Paul Millmore’s name heading to Lewes and beyond. But we must also realise that the future of the South Downs is not guaranteed. It may be in a better place than it was 5, 10 or even 20 years ago, but it faces some very big challenges over the next few years. If it succeeds in overcoming these, then we will know how successful it has been.